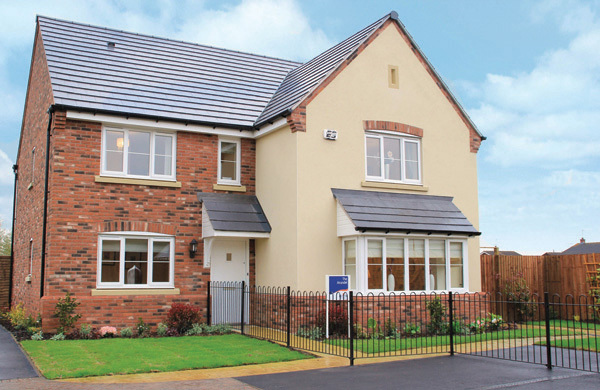 The way is now clear for Bovis Homes to complete the construction of Harrison Park - Droitwich's newest and freshest community - following a successful planning appeal. Harrison Park, named after local World War I hero Ted Harrison, has already been taking shape with a quality new five-bed show home now finished and furnished and homebuyers already snapping up properties there. And work has now begun on the remaining 64 homes of the development after a planning inspector granted permission for the next phase of new properties to be built. Keith Carnegie, Bovis Homes Central Region Divisional Chairman, said: "We're delighted with the inspector's decision and we're ready to crack on with creating this quality new community at Harrison Park. "The level of interest we have already had has shown that this is a great location and that local people have been impressed with the quality of the homes we are building in Droitwich. "We will continue to work with the local community as the work progresses and if anyone has any questions or comments they can post them at our dedicated Droitwich website and we will get back to them." The website can be found at www.bovishomes.co.uk/droitwich, which has been in place since the homebuilder began consulting with local residents last year. "We've already had more than 400 visitors to Harrison Park and taken our first reservations," said Keith. "It's been one of our most successful launches in the Midlands and in particular there has been a lot of interest in this latest phase which now has planning permission.